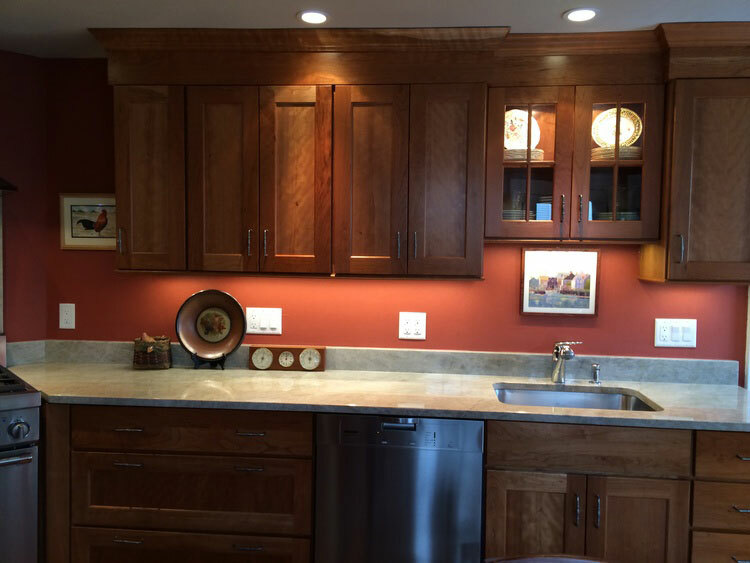 Natural cherry cabinets and undercounter lighting make this updated kitchen stand out. Four refrigerator drawers were used instead of a large one, taking up less visual space and allowing for more counter space. 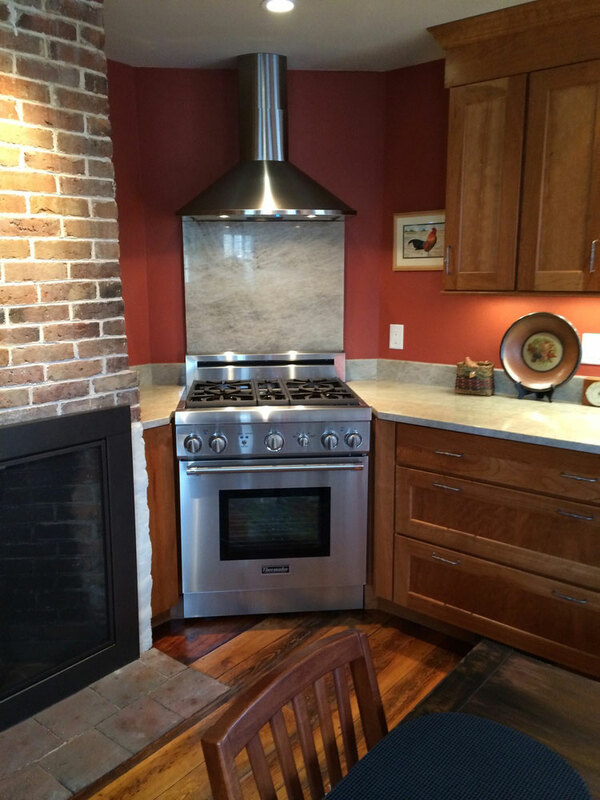 The new stove was placed in the corner, allowing the homeowner to retain the original fireplace and brick surround. The South-End of Portsmouth, NH, is known for its homes from the 17th through 19th centuries. Most home renovators here want to retain the original elements of their old homes, but bring the home into the 21st century as far as functionality. The clients here were very specific, in that they wanted a corner stove. 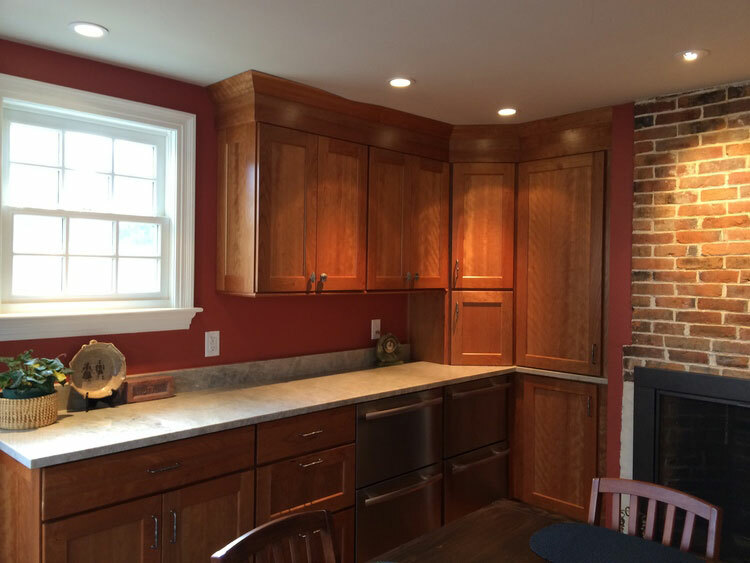 We worked together to come up with a design that was easy to use and fit the historic nature of the house.